The concept of Idle Tuber Empire game is similar to other Idle games such as Idle Factory Tycoon, Idle Miner Tycoon, and more. You start from zero and later earn millions and billions by hiring lots of people. This one features a social media platform concept, your goal is to become a celebrity by hosting live events in different places and streaming on fametube. The more you host and beat stars, the more you will get subscribers. In this post, we have shared the Idle Tuber Empire guide and Idle Tuber Empire tips for you and using these Idle Tuber Empire cheats, you will be able to progress fast in the game. It starts with a tutorial in which you learn about the basic of Idle Tuber Empire game; how to play, about the upgrade and customization. At the beginning of the game, you have 100 gems and you use gems to purchase a variety of items for your Wardrobe. First of all, let’s learn about the basic of the game. 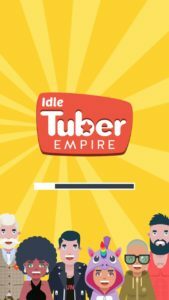 In Idle Tuber Empire game, you just tap on the screen to get likes. You can check the like bar at the top of the screen. After each stage, you will earn coins. After completing a set of the stage, you will have to defeat a star in star challenge. Completing the star challenge will give you lots of coins and you have to spend this amount of coins on your upgrades. Idle Tuber Empire guide -> The player has to complete 6-star challenges to post a stream on fametube. At the beginning of the game, most of the features are locked. Level up your character fast and unlock locked feature. ⇒ Idle Tuber Empire Tips -> Your goal is to improve your star rank because you want to become a celebrity. And to accomplish this task, you need a huge number of subscribers. To get more subscribers, you have to complete star challenges. That’s it. ⇒ How to unlock new locations? In Idle Tuber Empire game, you can unlock new locations by earning subscribers. ⇒ How to hire another entourage member? Unlock a new location and you will be able to hire another entourage member. The energy drink is a free item in Idle Tuber Empire game and it is used in charging the skills. You can unlock new skills of your character by leveling up. These skill gets unlocked after reaching the milestone level; 80, 125, 250. You just have to tap on a skill to activate it. However, after one-time usage, you have to wait for few minutes to use it again. To get rid of this problem, use the energy drink. You will see a green can on your screen after every few seconds, tap on it and watch a video ad. This will charge your skills. The initial levels are quite easy and you can easily defeat the star challenges. But after a certain level, you can not defeat stars in star challenges without using skills. So don’t waste your skills in normal stages, use skills in star challenges to earn a huge amount of coins and likes. As you know, you can increase the number of likes per second by upgrading your hired member. And their performance is better than you. But these members will not help you in star challenges. So don’t ignore your character’s upgrade. Always upgrade her first. Likes are important to clear normal stage and star challenges. The number of likes per second matter a lot. To improve your performance and boost up these numbers, use your gems and buy some accessories, tops, jeans, and outfits for your character. You will get the bonus; style bonus and sports bonus. So these are some basic Idle Tuber Empire cheats, tips, and tricks. Also, see – Best Idle games for Android. Download Idle Tuber Empire game – here(Google Play Store). For Deal Alerts, New Game Releases, Updates, News Please Join Us – Like Us On Facebook – MrGuider, Follow Us On Twitter – @techhuntr. Subscribe Us To Get Updates. Give Your Suggestions – Here. [Must See – Top new Android Games Today].